We’ve been hearing about several up-and-coming trends in the vehicle industry for a long time. Ride-sharing is the “now” thing, as are emissions-cutting electric vehicles, and autonomous vehicles represent the future of motoring. 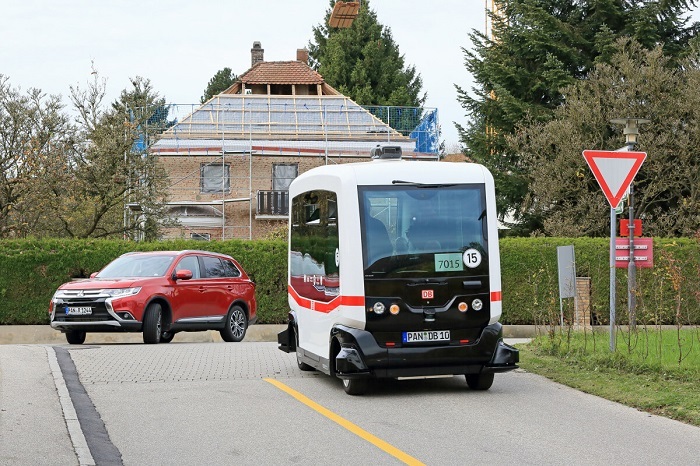 That future has already arrived in the German spa town of Bad Birnbach with autonomous mini-buses taking to the roads. 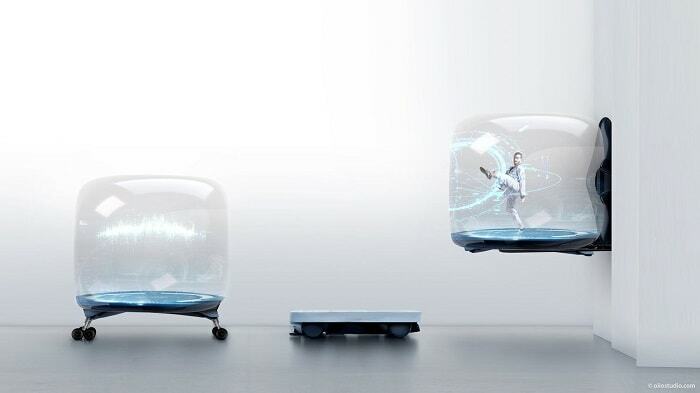 The ride has all the characteristics of the new transport everyone’s been talking about. It’s an electric vehicle, it’s shareable, it’s environment and disabled-friendly, and it’s safe. 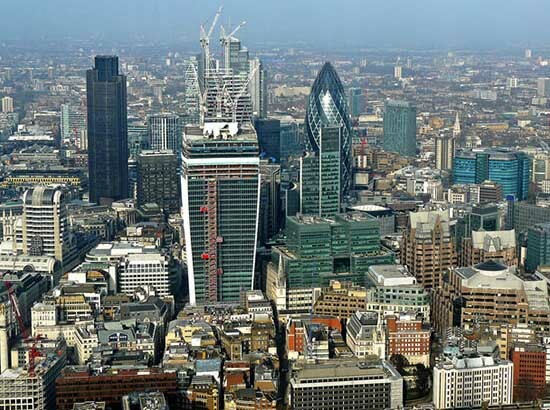 Anyone who has been watching developments in autonomous cars with interest will know that there have been some nasty incidents involving autonomous and semi-autonomous vehicles. There was the autonomous Uber cab that killed a woman in Arizona, and Tesla took a blow to its safety record when its semi-autonomous vehicles failed to recognize hazards and crashed. Google’s autonomous car tests have also not been without incident. 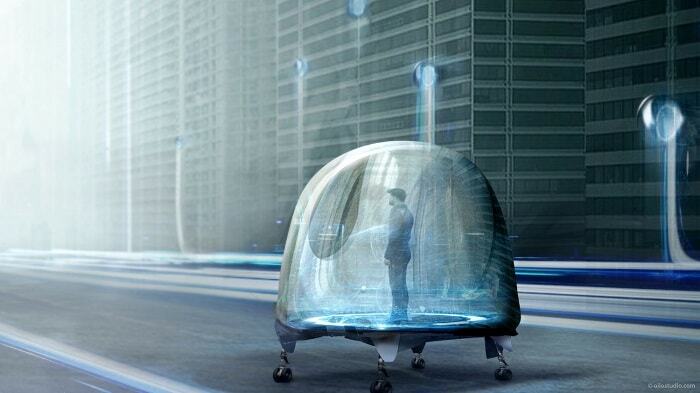 Events such as these may have led us to believe that we’re still a long way away from customizable and safe autonomous transport. However, Deutsche Bahn, owners of the new public transport service working with its Frankfurt-based autonomous vehicle brand ioki, isn’t taking any chances. Although the vehicle has no steering wheel or accelerator, an operator is ready to intervene in case the vehicle’s autonomous systems don’t work as they’re supposed to. That’s just for the present. Once the ioki buses have proved their mettle, the operator may well be dispensed with. It seems as if that time isn’t too far in the future. For now, ioki sees its buses as a supplement to public transport as we currently know it rather than a replacement. The company says that it’s providing a “last mile” solution, filling the gap where public transport ends and people’s transport needs begin. The Bad Birnbach bus illustrates the concept, taking people the last 700 meters from the town center to the thermal springs that are the town’s biggest tourist attraction. But there’s more in store. Ioki has already built in the capacity to summon its vehicles using a mobile phone app, and that would allow people to call for a ride from any location. The vehicle would then take them to the nearest public transport stop. [osm_map_v3 map_center=”48.443009,12.9940911″ marker_latlon=”48.4341204,13.0865993″ height=”400″ mwz=”true” map_border=”none” zoom=”4″ type=”osm”] People in rural areas are underserved with public transport options too and may even own a vehicle just because they need to get from home to the train station or bus stop. Even when the car in question is environment-friendly, it places a financial burden on its owner and contributes to traffic congestion. There’s also the question of helping the disabled with mobility solutions, and again, ioki thinks it has the answers they need. Deutsche Bahn is eager to go the extra mile with its ioki brand and sees on-demand rides as part of the future it’s working towards. Bad Birnbach and its six-person mini-bus is likely to be nothing more than the first step towards a customizable public shuttle system that could eliminate the need for vehicle ownership altogether. The mini-bus that plies the streets of Bad Birnbach is a boxy little six-seater that looks like half a loaf of bread. 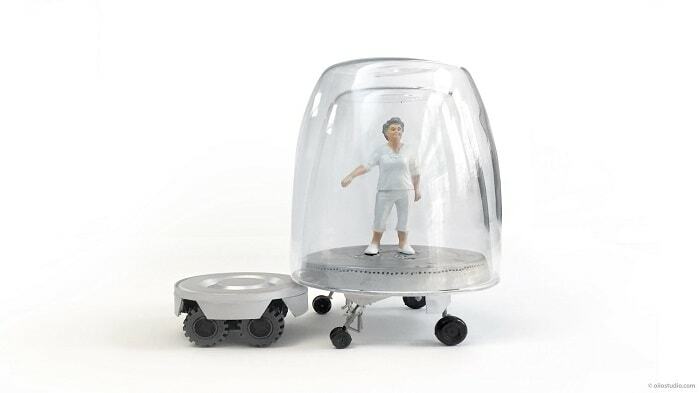 It’s cute, and it’s compact, but it’s by no means the only option that Deutsche Bahn and ioki are developing. The City of Hamburg plans to roll out driver-based shuttles from ioki this year. 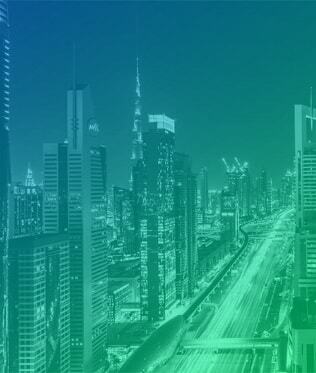 The rides will be on-demand and will connect smartphone users to the existing public transport system. Driverless bus trials are also planned for the city this year. First field trials for an on-demand autonomous tuk-tuk service in Frankfurt are underway, with ioki employees as acting as the test clients. The current test fleet consists of 13 three-wheel mini-vehicles, and ioki has already developed the apps that will allow passengers to book and pay for rides. Apart from passengers using an app to order the ride-sharing service, drivers also get an app. This time it’s to help them navigate the most efficient route to collect their passengers while coordinating all the trip requests they receive. Meanwhile, an operator-based software package allows administrators to get an overview of the fleet based on their roles with the transport operator. A marketer or customer service official can quickly see the analytics they need to make decisions, as can the operational controllers who plan and run the system. The various apps and analytics software packages are currently being tested in practice, and by the time the system enjoys widespread adoption, it should be ready to handle just about anything that the real-life needs of all players can throw at it. Clean electricity is an area in which Germany has become a worldwide leader. While some countries may still rely heavily on polluting coal-fired power stations and the hazards of nuclear energy, Germany has quietly been switching over to clean energy sources and renewable energy-sharing with its neighbors. A private electric vehicle can already save a considerable amount of emissions. But with ride-sharing electric vehicles preparing to hit the mainstream in a big way, energy demands will be slashed. If ioki realizes its vision of making private vehicles redundant, the pressure on energy networks and the emissions from traditional vehicles will be substantially reduced. Quieter roads and more pleasant urban environments will also become a reality. If an electric shuttle carries six people who would otherwise have used a private vehicle, there will be five fewer vehicles on the roads. Multiply that by the number of ride-sharing vehicles available, and the impact could be enormous. Finally, people will be better off. Maintaining and running a private vehicle has costs, but people continue to buy vehicles out of necessity or a desire for convenience. With both need and ease of use out of the equation, more people will use ride-sharing vehicles and public transport, and while this has its own costs, they will be far lower than those of private vehicle ownership. The manned drone, EHang 184, will go up in the air in Dubai this summer. As the leader of Dubai’s Roads & Transportation Agency, Mattar al-Tayer, publicly announced, the flying taxi will be introduced in the summer of this year. It seems EHang‘s first test flight around the Burj al-Arab skyscraper hotel in Dubai persuaded the relevant decision-makers. The United Arab Emirates (UAE) continuously strive to be a world’s frontrunner when it comes to technologically sophisticated lighthouse projects – and the next one is probably placed in the air with a EHang 184 fleet. Designed by a Chinese company, the Autonomous Aerial Vehicle (AAV) is fully powered by electricity – offering the opportunity to charge and fly with 100 percent green power. Actually, the conditions for photovoltaic are brilliant in this region. 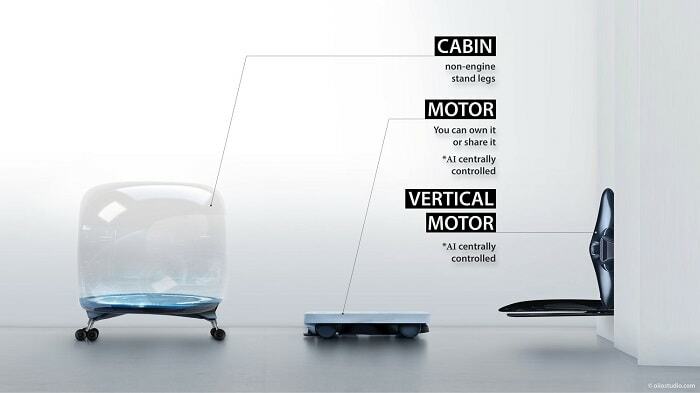 Passengers with a weight up to 100 kg can enjoy the power of eight motors with a total maximum output of 152 kW. With a possible top speed of 160 kph, it is advisable to throttle EHang’s velocity – maybe down to 100 kph as the authorities say. Passengers can be transported from A to B for the maximum of a half-hour flight and a range of up to 50 kilometers (31 miles). Naturally, it would be interesting to know in which extent the at full blast running and definitely required air-conditioning system will reduce the operating range. Precise information regarding the beginning of operations in July are not yet known. Allegedly, the flying electric vehicle has been already tested with 4G mobile internet by the Dubai Civil Aviation Authority. The view over the desert city of Dubai at a maximum peak altitude of 3.5 km is surely a great experience. But maybe a drone highway will follow soon in order organize and structure the drone traffic? For some time now, it is necessary to register hobby drones in the United Arab Emirates. This regulation is an absolute necessity in order to ensure safe drone traffic above Dubai’s skyline in the near future. MIT startup nuTonomy considers itself as a leading developer of state-of-the-art software for self-driving cars. Honestly, the MIT startup accomplished a lot and brought it on stage. 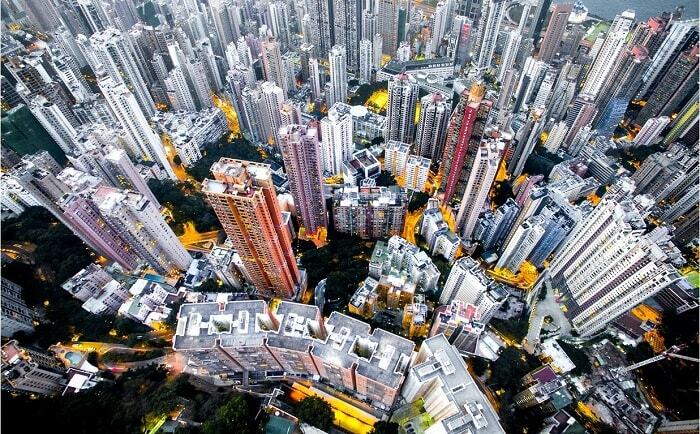 Three months ago, they launched the first-ever public trial within Singapore’s one-north business district. The intention now is to go abroad. 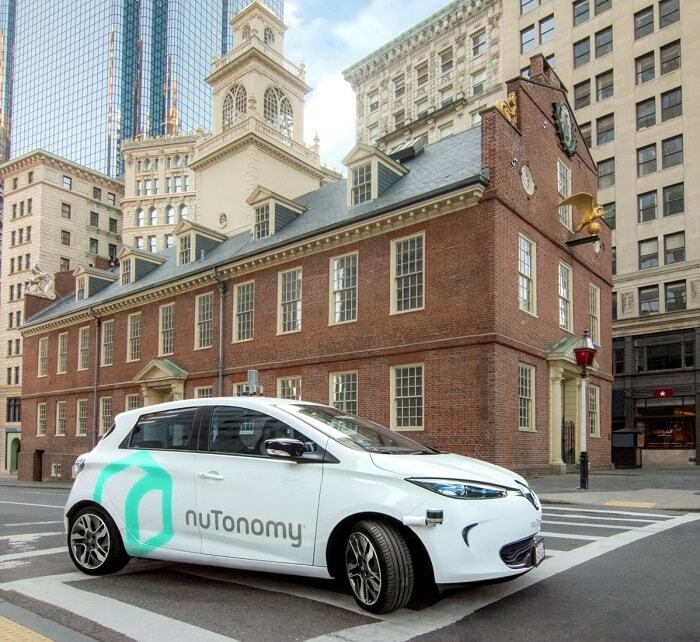 Some days ago, nuTonomy has been authorized to test its driverless cars on selected public roads in the US city Boston, Massachusetts. The first test will take place in December 2016 with an electrically driven Renault Zoe in the Raymond L. Flynn Marine Park in the Seaport section of the capital and most populous city of the Commonwealth of Massachusetts. In order to ensure a secure ride, high-performance sensing and computing equipment controls nuTonomy. The public launch of a commercial robo-taxi service with a widespread availability is planned for 2018 in the world’s only island city-state Singapore. Co-founder and chief technology officer Emilio Frazzoli estimates that 300,000 driverless taxis could do the work of the 780,000 privately owned cars in Singapore. Emilio Frazzoli aims to deploy thousands of driverless taxis in a few years within Singapore. In Boston, the team intends to gain further knowledge. The MIT team investigates how the electrically driven nuTonomy deals with local signage and road markings.  They evaluate measurement data and improve the system with the goal of improving the interactions with pedestrians, cyclists, and other vehicles in the flowing urban transport. It is also planned to enlarge the test area for nuTonomy in Boston in the near term. In so far as it is necessary to ensure a safe ride, a nuTonomy engineer observes the system performance and assumes control if needed. Furthermore, the city of Boston monitors the effects of autonomous vehicles, and will further identify how autonomous vehicles will further the safety, access, and sustainability goals of Boston’s transportation plan, Go Boston 2030. 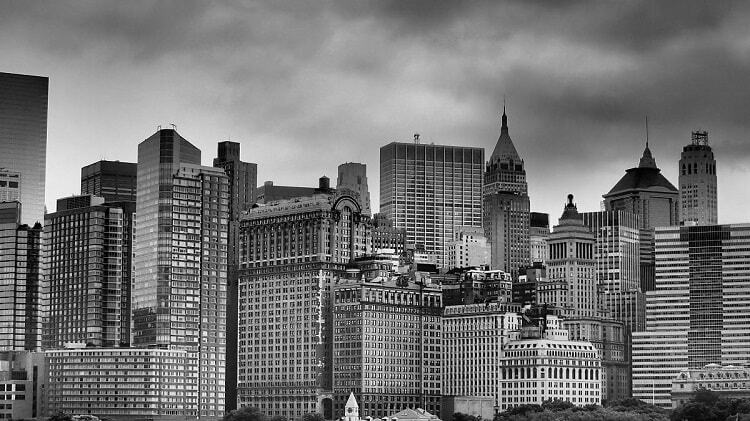 Eventually, the capital of Massachusetts plans to deploy self-driving cars. In excess of 35,000 people died resulting from a road traffic accident in the U.S. in 2015. Human failures are the reason for around 94 percent of crashes according to National Highway Traffic Safety Administration (NHTSA). 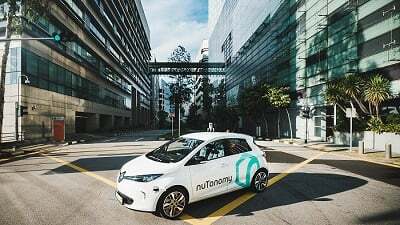 It is expected to reduce fatalities and injuries with self-driving cars like nuTonomy enormously. Additionally, passengers have more freedom to do others things during the ride instead of steering the car. The electric motor of nuTonomy can reduce the carbon footprint of transportation in the urban realms. Charging stations with renewable power would make the entire transport 100 percent eco-friendly without harming the climate.